This is the most important decree issued in the KSA since the emergence of Al-Saud as rulers in 1745 A.D. and the unholy pact between M. Ibn Saud and M. Ibn Abdul-Wahab: the decree and initiative of king Salman of the KSA that we read in the news recently about establishing an institution to sift hadiths while aiming at excluding falsehoods and fabrications about Prophet Muhammad. The USA-based Al-Hurra Channel and website contacted our person to ask about our own view about this piece of news, and Al-Hurra website has mentioned only a very brief summary of our view and not all of our words. We write in this article our view extensively and in detail. 1- In the first of our books titled "Al-Sayed Al-Badawi between Fact and Myth" published in Cairo, Egypt, in 1982, we call for sifting and reviewing hadiths by using the Quran as the only criterion to exclude hadiths, as many of them urge the youth to resort to violence and terrorism. At this stage of our life and career as a thinker, we used to assume that one might believe in 'some' hadiths that never contradict the Quran, before delving into deeper reflection of the Quran to infer the Quranic fact that the Quran is the Only Discourse to believe in within Islam and that we are to reject all hadiths/narratives. 2- We have attempted at first to sift and review hadiths Al-Bokhary book, and when our research yielded the result that this horrid book contradicts the Quran, we have declared this view in Al-Azhar University and within a Cairo-based Sunnite society called "The Call of Truth" in which we were a leading member in the 1980s. All Azharite and non-Azharite clergymen opposed our person and called us as an 'infidel'/'apostate' and a (Sunna-denier). Sunnites and Sufis inside and outside Al-Azhar University were united against our person, and we left the Sunnite society called "The Call of Truth" and we tendered our resignation as a professor at Al-Azhar University. Soon afterwards in 1987, we have been incarcerated for months, and inside our prison cell were some of our fellow Quranists. The Egyptian media and policemen use the terms (Quranists) and (Sunna-deniers). This severe persecution by the Mubarak regime was incited first blatantly and flagrantly by the KSA. We have reached the conclusion that as per the Quranic Truth, one is to believe ONLY in one discourse within Islam: God's Word: the Quran. In 1990, we have authored another seminal book titled "The Quran: Sufficient as a Source of Islamic Legislation" (found in English, on this link: http://www.ahl-alquran.com/arabic/book_main.php?main_id=92). Quranists in Egypt have suffered several arrest waves incited by the heavy Saudi influence on the Egyptian regime. 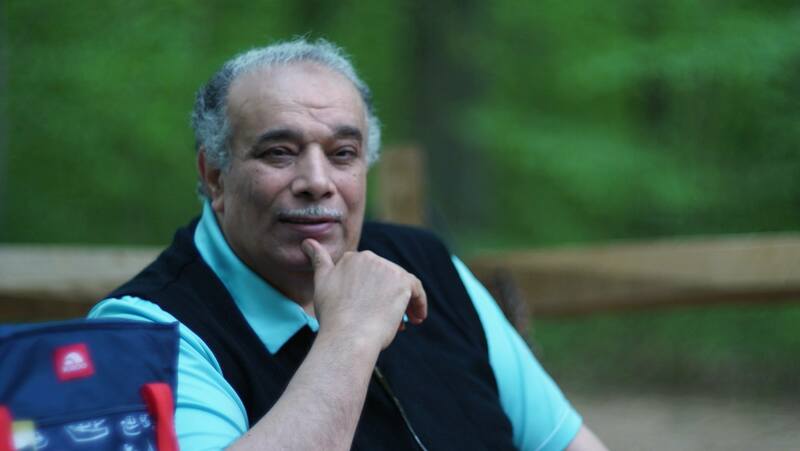 This Saudi infiltration within, and control of, the Egyptian deep-state and Al-Azhar continues to be stronger than ever within the rule of the current Egyptian president; those Egyptian thinkers who have dared to criticize some hadiths have been imprisoned; e.g., Mr. Eslam Al-Beheiry (released after several months) and Mr. M. Abdullah Nasr who has not been released yet: see our two articles in English about him:http://www.ahl-alquran.com/English/show_article.php?main_id=16173 /http://www.ahl-alquran.com/English/show_article.php?main_id=17063and our subtitled video about him: https://www.youtube.com/watch?v=81Ay74OgD4U). The KSA now formally declares the intention of 'sifting' and 'reviewing' the so-called Sunna hadiths. 1- The KSA must formally apologize in public to those incarcerated because of its influence – we do not mean Quranists or our person; rather, we mean those Sunnite thinkers like Mr. Nasr and Mr. Al-Beheiry who desire to engage into 'sifting' and 'reviewing' the so-called Sunna hadiths to exclude some of them and adhere to the rest. The KSA must command the Egyptian president, who is submissive to the Saudi king, to release Mr. Nasr from prison and to apologize in public to the Egyptian thinker/researcher/lawyer (and former judge) Mr. Ahmed Abdou Maher who is engaged into intellectual jihad with his pen, his presence as a guest in talk-shows of Egyptian TV channels, and also in Egyptian courts as he demands from Al-Azhar to exclude hadiths of Al-Bokhary (and hadiths of his likes) from the Sunnite religion that Mr. Maher embraces and from the corrupt, obscurantist Azharite curricula. 2- The KSA must immediately release the Saudi sheikh/thinker Dr. Hassan Farhan Al-Maliki from prison and apologize to him. In fact, we think that Dr. Al-Maliki is the best thinker now inside Arabia and he reminds us of the late Saudi rebel and thinker Mr. Nasser Al-Saeed. 1- We have refuted the notion (or rather the futile, useless endeavor) to sift and correct Al-Bokhary hadiths and repeated our call to reject all hadiths altogether in the article (in English) titled "The Poisonous Mission of 'Correcting' the Book of Al-Bokhary" (found on this link: http://www.ahl-alquran.com/English/show_article.php?main_id=16821). Indeed, it is of no use and of no avail to 'reform' the Sunnite religion by excluding some or most hadiths; it is better to reject the ma-made, fabricated, earthly Sunnite religion and to adhere to real Islam (i.e., Quranism). In fact, the Sunnite religion is false; a mere Taghut and devilish religion of Satan like the Shiite religion, Sufism, Judaism, Catholicism, Orthodox Christianity, Protestantism, Hinduism, Baha'ism, Buddhism, etc. All such religions are Taghut and call for polytheism. The Quran has descended from Heaven to purify human beings from such Taghut religions that propagate polytheism. Thus, real reform is NOT to exclude some or most hadiths, but to reject hadiths/Sunna altogether, and the same applies to hadiths of Sufis and Shiites as well. Thus, sifting and reviewing hadiths is none of our concern; Quranists reject hadiths of all types altogether. Hence, the real problem is in fake decrees or decisions by the KSA to aim at 'modifying' or 'changing' the forms of religious corruption instead of eradicating it along with excluding other falsehoods. The Wahabi Sunnite religion of Satan must vanish to make room for the True Monotheistic Religion of God: the Quranic Truth. 2- The laughter-inducing notion of 'correcting' or 'sifting'/'reviewing' hadiths is problematic because it is based on personal whims and desires. In fact, whims of clergymen in all eras caused the emergence of so many doctrines and sects. It is noteworthy that hadiths of al-Bokhary contradict one another even in the same page! We have proven this in our book titled "The Quran: Sufficient as a Source of Islamic Legislation" (found in English, on this link: http://www.ahl-alquran.com/arabic/book_main.php?main_id=92). Within many eras, the imams/clergy of earthly, man-made, fabricated religions have authored and concocted hadiths as per their whims and ascribed them falsely to Muhammad more than 200 years after his death. In fact, millions of hadiths were authored and concocted during the Second Abbasid Era by Sufis, Sunnites, and Shiites. Sunnite clergymen and scholars had to sift through hadiths to exclude Shiite ones and many of the scholars differed and contradicting one another (as per personal whims and desires) regarding criteria for keeping or excluding hadiths. Al-Dhahaby, the historian and scholar, asserted in his book that no two scholars agreed on how to exclude and include hadiths as '(in)correct' ones. Many scholars cast doubts on texts and series of narrators of many hadiths. Many scholars have tackled in their books the problem of fabricated hadiths, like Ibn Al-Jawzy (within the Second Abbasid Era) and Ibn Taymiyya, Al-Siyouti, and Ibn Al-Qayyim (within the Mameluke Era) as well as Al-Albany (1914-1999 A.D.). Such futile endeavors to 'sift' and 'review' hadiths did not bring any progress at all; likewise, the Saudi endeavors (even if done seriously) to 'sift' and 'review' hadiths will be of no use at all to anyone and a mere waste of time. 1- It is funny that Wahabi scholars and clergymen (esp. Al-Sheikh family), who are being ridden and controlled by Saudi royal family members, and who have spent most of their lifetimes defending such hadiths and declaring deniers/rejecters of hadiths (within cyberspace, media, books, fatwas etc.) as 'infidels' and 'apostates', will have no problem at all to endorse the new stance of their real god/deity (i.e., the Saudi king) and they will find no qualms to eat their words and shamelessly applaud 'sifting' and 'reviewing' hadiths! 2- The real problem is that if the KSA rejects hadiths of Al-Bokhary and his likes, the writings of M. Ibn Abdul-Wahab will lose their value and be rendered useless and the very ideological foundations of the first, second, and third, current Saudi state will vanish along with the Wahabi Sunnite 'legitimacy' of the existence of the KSA. 3- All Wahabi books of M. Ibn Abdul-Wahab and others must be refuted and rejected later on along with all Sunnite hadiths; such traditions form the ideological foundation of Wahabi terrorists: the MB, ISIS, Al-Qaeda, and their likes, as they embrace Sunnite fiqh and hadiths that incite violence, bloodshed, and terrorism. 4- Would the KSA have the nerve to disown Al-Bokhary hadiths that incite violence, bloodshed, and terrorism? These hadiths include the one about fighting humanity till all people declare there is no God but Allah and Muhammad is His Prophet. Wahabism is based on the Ibn Hanbal extremist doctrine; would the KSA dare to reject the Ibn Hanbal doctrine scholars' hadith about massacring one-third of the 'subjects'/nations to 'reform' the other two-thirds?! Would the Saudi scholars of fiqh dare to criticize and refute fatwas of the Ibn Hanbal doctrine scholar Ibn Taymiyya, of the Mameluke Era, that allow murdering people for thousands of trivial reasons? We have discussed the bloody thought of Ibn Taymiyya in a book tackling the Wahabi MB-concocted 2012 constitution in Egypt under the MB president, ousted in 2013 within the 30th of June revolt. 5- In sum, would the KSA dare to criticize Al-Bokhary deified by Wahabi scholars now? Let us remind readers that Saudis called our person as Sunna-denier when we have attacked and refuted Al-Bokhary book. There is nothing called Sunna in real Islam; there are hadiths fabricated by so many people within the Sunnite religion, and when one rejects Sunna hadiths, one rejects the whole Sunnite religion altogether (with all of its traditions, sub-creeds, sub-sects, doctrines, books, hadiths, fiqh, etc.). Hence, would the KSA have the nerve to deny Sunna hadiths? Would Saudi scholars be deemed Sunna-deniers, the same accusation leveled at our person in the 1980s? 6- The KSA has spread the epidemic called Wahabism worldwide along with terrorism, bloodshed, and bloodbaths. The KSA has established Wahabi universities inside and outside the KSA. The KSA fully controls the Cairo-based Al-Azhar and all of the so-called 'Islamic' centers and Sunnite mosques in the USA, EU, and the West countries in general. Would the KSA dare to reform Wahabi Sunnite curricula in such Wahabi institutions all over the world? 7- A persistent question en passant: what would be the reaction of the head of Al-Azhar, who is typically submissive to the KSA, as he has done his best to persecute those who attempted to sift and review hadiths and fiqh inside the Azharite curricula on the one hand and the hadiths of the earthly, man-made Sunnite religion on the other hand?! 1- Within our book titled "The Wahabi Opposition Movements in the Kingdom of Saudi Arabia in the Twentieth Century" (found on this link: http://www.ahl-alquran.com/arabic/book_main.php?main_id=85), we assert that Wahabism provides sham/fake legitimacy to Wahabi tyrannical rulers and also to Wahabi theocracy-seeking rebels who claim they are more 'religious' and more 'Wahabi' than the current, existing tyrants to have the chance to reach power after the ouster of tyrants (e.g., within revolts or coups). This is how the Wahabi opposition movements emerged inside and outside the KSA: the Najd Brothers (who helped Abdul-Aziz Al-Saud), the terrorist MB, Juhayman Al-Otaybi, Dr. Al-Masaary, Al-Faqeeh, Salman Ouda, Safar Al-Hawali, ISIS, Al-Qaeda, and many others who will certainly emerge in the future. 2- The KSA has reached this point of posing the pivotal question: when will it collapse? The Saudi state has been established three times and collapsed twice: the very first one was destroyed by the Egyptian army of Muhammad Ali Pacha in 1818 A.D. The second Saudi state collapsed because of disputes and struggles within the Saudi household. The third, current Saudi state; i.e., the KSA, will eventually collapse despite the fact that its influence and control reached an unprecedented level never dreamed of by its founder and first king: Abdul-Aziz Al-Saud. The generation of the sons of Abdul-Aziz Al-Saud ended in king Salman; the generation of grandchildren is represented by the crown-prince M. Ibn Salman. When he is enthroned one day, the KSA will certainly face internal dangers/threats within the Saudi royal family members who will dispute and oppose one another. This is not to mention facing Shiites inside the KSA and within the regional level (i.e., Iran, the Houthis, and Hezbollah). As for the international level, most countries are informed now – thanks to the intellectual endeavors of all Quranists – that the Wahabi KSA is the axis of evil worldwide and the country that funds ISIS. Most countries realize now the fact that Wahabism has nothing to do with Islam. The KSA faces the fury of the West; the KSA has sought obsequiously to please (or appease) Donald Trump by hundreds of US$ billions and by establishing centers overtly to 'combat' extremism. Because of the international pressure, and out of fear that ISIS terrorists might emerge inside the KSA, the Saudi king is trying now to grant more years to the collapsing kingdom by removing sanctification from the pillars of Wahabism by allowing the 'sifting' and 'reviewing' of 'some' hadiths. This will NOT end the brutality and violence of the Saudi policemen who incarcerate, torture, or kill those who criticize or oppose the deified rulers. Thus, hadiths that urge the blind obedience to rulers will be retained and never excluded, of course! 3- Eventually, the Saudi decree of allowing the 'sifting' and 'reviewing' of 'some' hadiths will come to nothing at all; Wahabi opposition figures reject hadiths that urge the blind obedience to rulers and they insist on rebelling against 'infidel' rulers within Wahabi jihad; besides, those Wahabi opposition figures will use writings of M. Abdul-Wahab to undermine the Wahabi legitimacy of Al-Saud royal family, as done by the London-based opposition figure Dr. Al-Masaary and others like him. LASTLY: the best solution is that the Saudi royal family members must sever all relations with Wahabism once and for all. This topic deserves a separate article.